The versatility of this room is most important to the Club as it can be used for other events such as Board meetings and science class. The room is now soft and comfortable. Each day at approximately 3:00pm, the Club kids fill the desks as they set out to learn. Also donated by the Junior League as part of the renovation is a new Apple desktop large screen computer and several printers. Junior League members were happy to continue the partnership established with the Boys & Girls Club that has spanned many years. 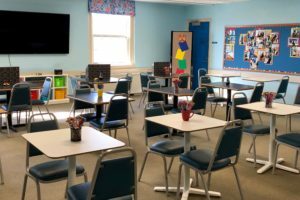 The communication between the two organizations is seamless and allowed the Junior League members to schedule work on many Saturday mornings as they painted and installed the desks. 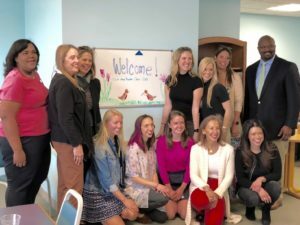 The Club Kids will be amazed to see their room transformed into something so fresh and new, all while the members of the Junior League had tremendous fun adding value to the community.